Following up to the McKinsey report, "And the Winner is..." this Deloitte report helps readers to better understand how challenges can help develop ideas, technologies, products or services or engage people, organizations or communities. Understand how to better address what the challenge problem should address. Also, what kind of prizes should be offered if any at all? Learn how asking the right questions about five key design elements can promote a successful campaign. 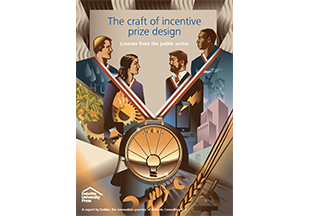 Challenges are becoming bolder and more sophisticated and prize designers are partnering with sponsors to attract participants in new ways. See how challenge designers are expanding the horizon of competitions.